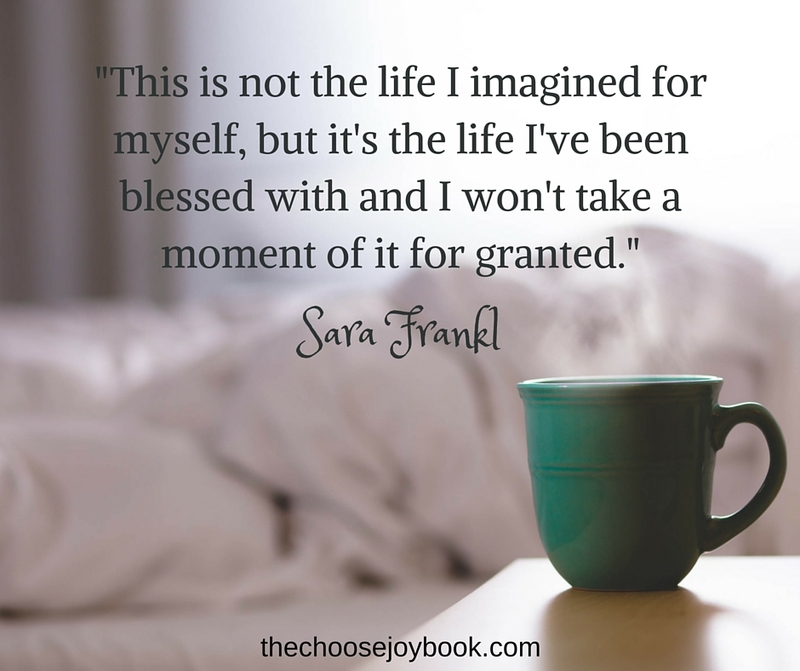 I have been reading, and re-reading, Sara Frankl's book, Choose Joy, because it has been so encouraging. It is rare to find a book by someone with a severe chronic illness. Choose Joy resonated with me in so many ways that I didn't know where to begin with my book review last week. Instead of trying to capture how special this book was to me in one post, I have decided to spread out the joy! 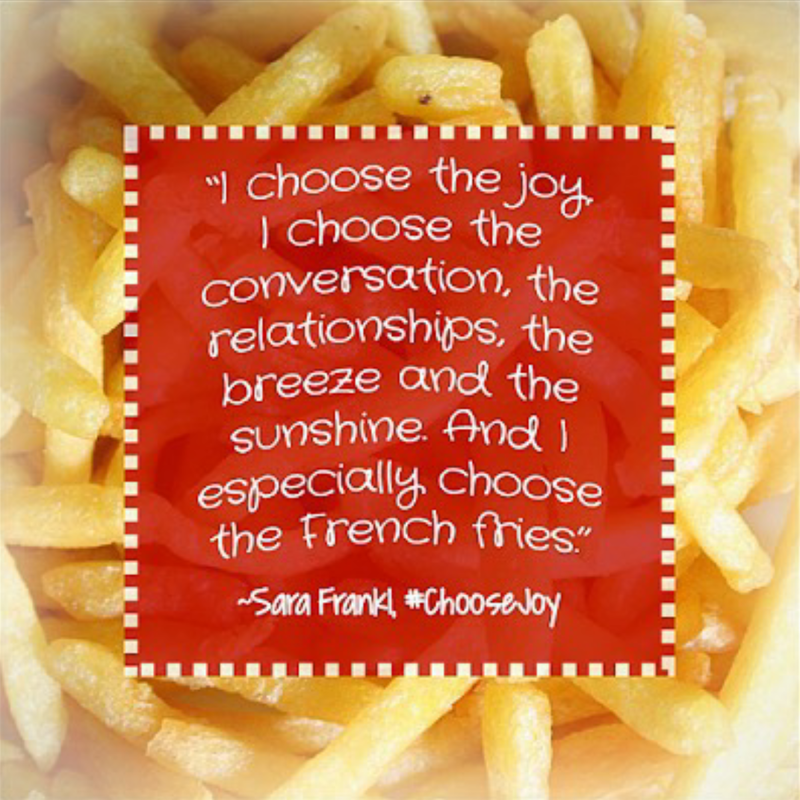 Each Monday in January I will be sharing a quote from Choose Joy, plus a few thoughts of my own. 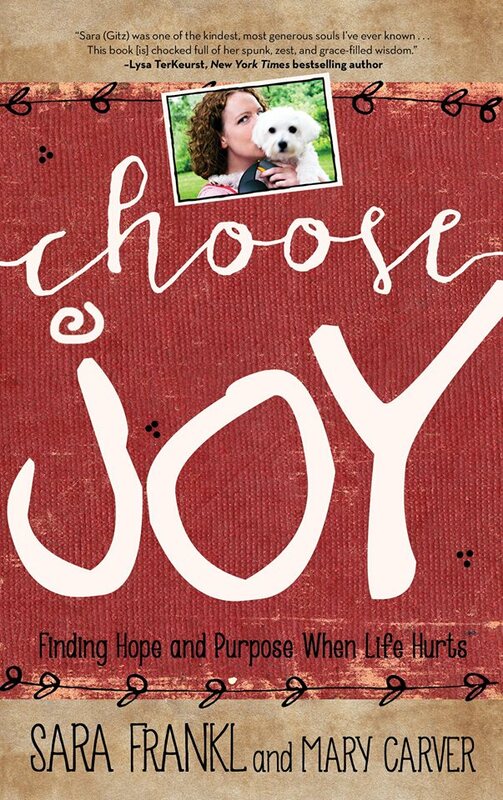 Also, I want to let you know that my friend, Kimberly Penix, is starting a book club today, and they are reading through Choose Joy! They will be discussing the introduction and chapter one on her blog. Tomorrow they will be chatting on Periscope about the book. 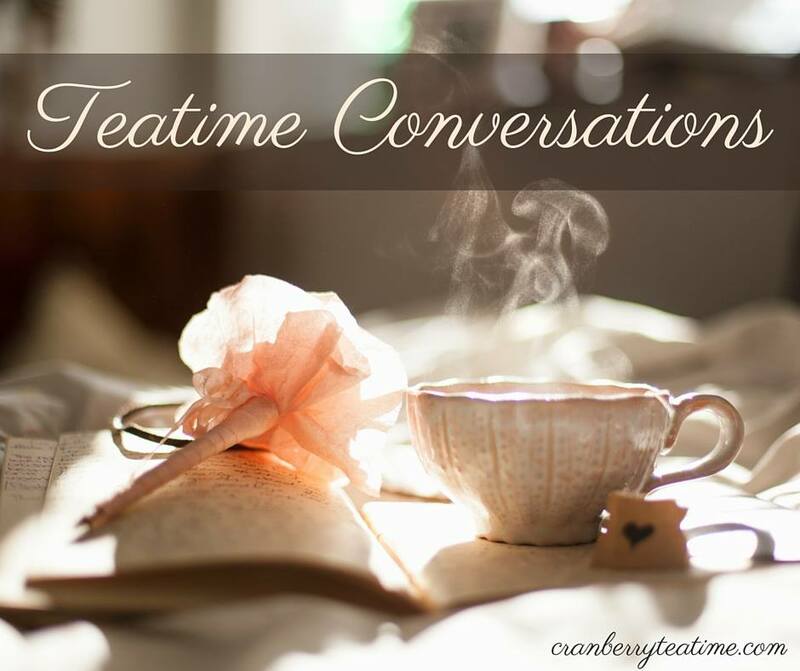 It's not too late to grab a copy and join the book club! Sara did not take her life for granted. She found blessings all around. In the midst of her pain, she found joy and purpose. The reason I am happy is that I choose to look at my blessings more than my burdens. The burdens are persistent; the pain is relentless. I walk with crutches and it takes me longer to get up out of the chair then it takes my friends to get up and walk the length of my condo and back. But I know that if God didn't have a purpose for my illness He would have taken it away from me by now. So I take it humbly and pray that if He has a purpose for me, I am paying attention so I don't miss the opportunity to serve. I'm okay with not knowing why this is happening to me because I know He knows why. It's not about me; it's about what He can do with me. My job is simply to pay attention and enjoy the rainbows. Sara trusted that God had a plan and purpose for her illness, and she was determined to enjoy the life that she had been given. She found joy in the small things. She savored happy moments. She sure did know how to enjoy the blessings of life! 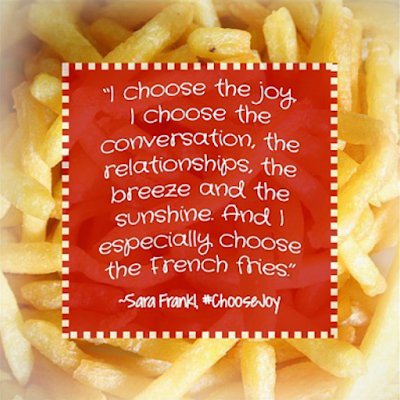 One of my favorite stories in Choose Joy is the one where Sara tells about enjoying a moment with her parents eating McDonald's French fries. Her parents had taken her to the doctor, and the outing took quite a toll on Sarah's health. She knew it was the last time she would ever leave her condo. But through the pain and the sadness of it all, Sara chose to see the joy. She chose to delight in a small, happy moment on her porch. I can smile remembering that, for a few fleeting minutes, Mom, Dad, and I sat in those patio chairs I've been longing to relax in and ate McDonald's French fries just because we could. After all, the damage was done and we were determined to take our moments. A lot of things aren't going right because I left the house on Thursday. But I choose the joy. I choose the conversation, the relationships, the breeze and the sunshine. And I especially choose the French fries. My health is not nearly as bad as Sara's was, but I can identify with pushing my body beyond its limits to enjoy a fun moment. I am homebound, and sometimes it is nice to have a break from my four walls, so Will takes me for an outing. Sometimes he takes me on a short shopping trip, and I ride a scooter around the store. Other times we go to a hotel for a night or two, just to get me out of the house and looking at four different walls! Occasionally I go out to eat with my family. It is hard to sit up at a table in a restaurant, but I go to see their smiling faces. I go to enjoy their company. I go to enjoy getting out of the house, even if only for an hour. I come back home exhausted, and it takes me a few days to recover from one hour at a restaurant. But I enjoy the moments, and I savor the memories. If you have a chronic illness, do you ever push yourself beyond your limits just to enjoy something fun? How do you savor your moments when life is hard? How do you find joy in the midst of pain?